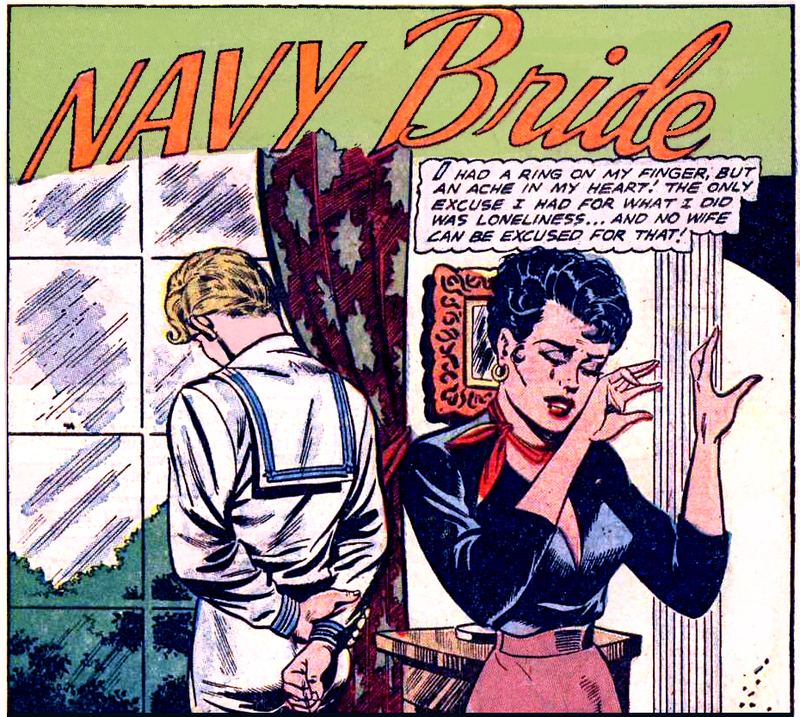 Artist unknown from “Navy Bride” in G.I WAR BRIDES #1, 1954. Loneliness is never an excuse. Being near sighted, though, and mistaking that other ship full of sailors for your hubby? Maybe! Ay Yi Yi Yi. Your Grandmother swims after troopships.